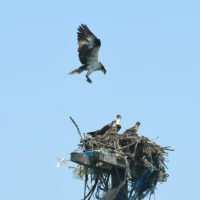 By early April, ospreys had arrived at Freshkills Park after spending the winter in warmer places. Nicknamed “fish hawks,” these large raptors like being close to shallow water for easy access to food. The birds quickly got to work building their summer homes on tall platforms close to the creeks. In April 2017, sixteen U.S. cities participated in the City Nature Challenge (CNC). 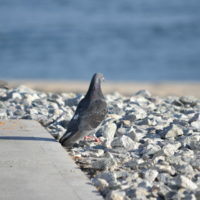 For this multi-day event, urban residents competed to observe the most species in their city, at the same time collecting data that conveys a snapshot of the local biodiversity. 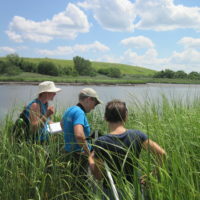 In mid-August, Freshkills Park staff and interns conducted the annual monitoring of the North Park Wetland Restoration. Each year we record how the native plants are doing, whether any invasive plant species are coming back in, and what kinds of wildlife are using the restored site. 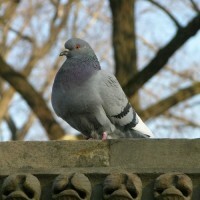 Ask people to name an animal that lives in New York City, and chances are they’ll pick one of the following: Rats, pigeons, or cockroaches. And they’ll probably have some horror stories to tell about them. Now, we could go on and on here at the Freshkills Park office about how there are thousands of different animal species living within the boundaries of NYC, including many that are rare, but today we’d like to take a minute to highlight some aspects of those lesser-loved, often only known for their traits that are in conflict with human society, animals that call NYC home. 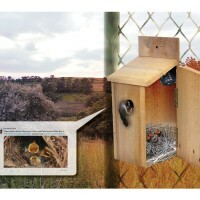 Freshkills Park will soon launch a digital app that will tweet photos of birds like tree swallows and house wrens from inside their bird boxes at the Park. 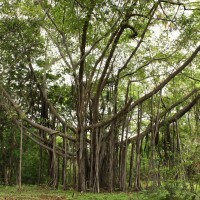 This project will broadcast the ongoing ecological restoration of the Park, create new potentials in the field of scientific research, and highlight a research project investigating the health of the Park’s cavity nesting birds. Every June, New York’s native turtles migrate in search of sandy areas to lay their eggs. 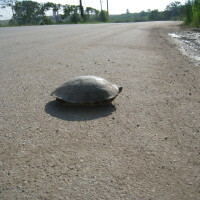 According to the New York State Department of Environmental Conservation (DEC), thousands of turtles are killed each year when they are struck by vehicles as they move to their nesting areas. 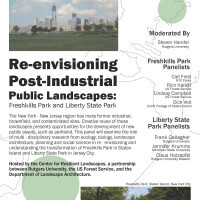 Freshkills Park’s Manager for Science & Research Development Dr. Cait Field will participate in a panel discussion at Rutgers University on Wednesday, April 27th. 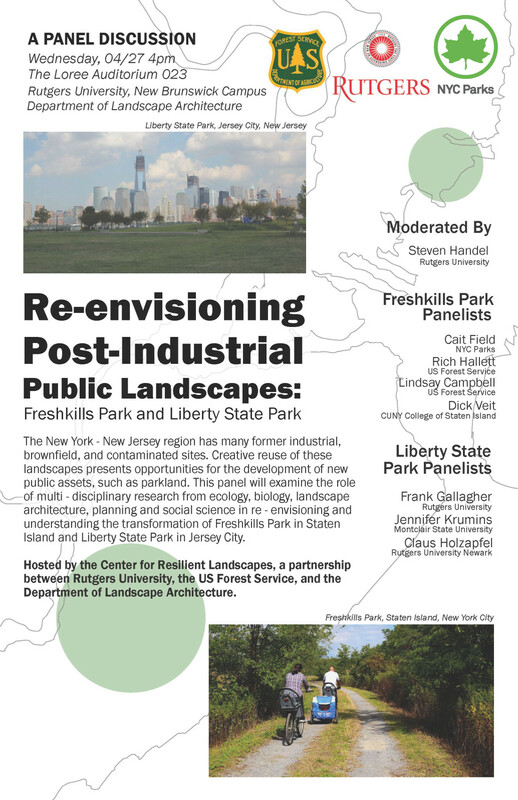 Called Re-envisioning Post-Industrial Public Landscapes, the discussion will include panelists from Freshkills Park and Liberty State Park in Jersey City. Fifteen years ago this week, the final barge of household garbage arrived at Fresh Kills Landfill. 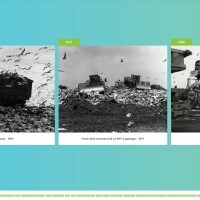 To celebrate this milestone, the website’s new interactive landfill-to-park timeline illustrates almost 100 years of changes in the area. The last barge to Fresh Kills marked the end of 53 years of landfill operations. 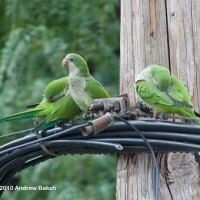 On President’s Day weekend, millions of birds were recorded as part of the Great Backyard Bird Count (GBBC). 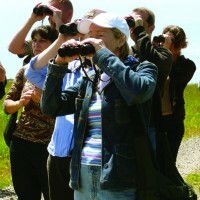 According to the New York Times, this was the 19th year that both amateur and expert ornithologists worldwide have contributed bird sightings to this citizen science project, run by the Cornell Lab of Ornithology, the National Audubon Society and Bird Studies of Canada. 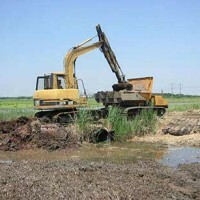 New York City is in the process of creating its first wetland mitigation bank in the marshlands surrounding Saw Mill Creek on Staten Island. 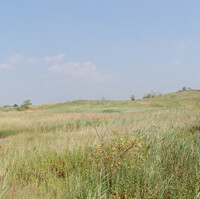 Saw Mill Creek, a tributary to Prall’s Creek and the Arthur Kill, is encircled by the largest expanse of remaining salt marsh along Staten Island’s west shore. 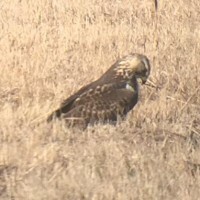 Researchers found a rare Swainson’s hawk at Freshkills Park’s East Mound on Tuesday morning. 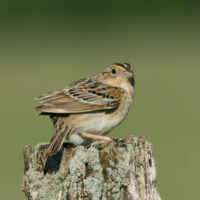 Dr. Richard Veit of The College of Staten Island described the hawk as a western North American grasslands specialist bird. DSNY for their partnership on this great project. Park Manager Bonnie Williams and her wonderful crew for caring for those sections of Freshkills Park already built. 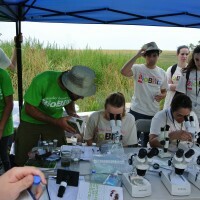 On August 29th and 30th, Freshkills Park teamed up with CUNY Macaulay Honors College to conduct a BioBlitz of North Park. A BioBlitz is a 24-hr biological survey event aimed at developing a snapshot of as much biodiversity as possible in a given area at a particular time of year. 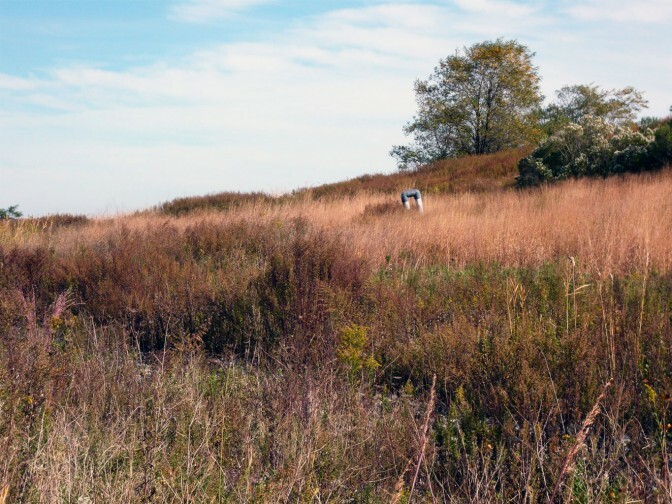 Freshkills Park is developing a unique digital app that will broadcast the ongoing ecological restoration of the Park and create new potentials in the field of scientific research. 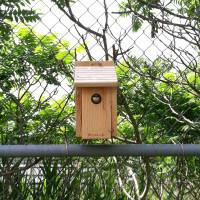 The launch of the app will highlight a research project investigating the health of the Park’s cavity nesting birds like tree swallows and house wrens. 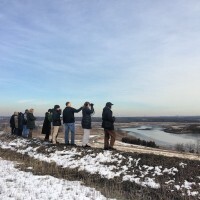 Most visitors to Freshkills Park usually get excited when they see the ospreys in their nest, or a bald eagle fly by, or a red-tailed hawk overhead… but scientists and bird enthusiasts are most excited about all of the grasslands within the park. Over the past several decades, there has been a steady decline – paired with an increased consolidation – of landfills within the United States. This is due, in part, to a number of federal legislation that revised and updated the operational practices and permitted locations of municipal waste disposal. 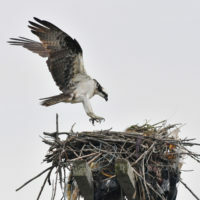 Freshkills Park has already seen a vigorous return of wildlife. White-tailed deer roam the grasslands, turtles nest in the salt marsh, osprey swoop over Main Creek, and muskrats leave tracks through the wetland. 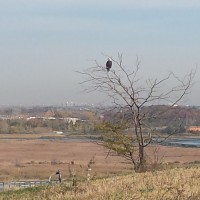 Now Freshkills Park can add another species to the list: bald eagle. A flash of yellow flutters among the upper branches as the students below point out the never-still yellow warbler to one another. Spring migration is here. During this precious time, a winged kaleidoscope of colors and patterns drop down from the sky. The number of people who choose to live in cities is on the rise, with 80% of the US population living in urban areas as of the 2010 census. While living in cities like New York reduces our individual environmental impact, it also causes the displacement of wildlife.